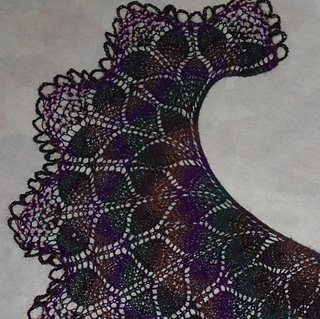 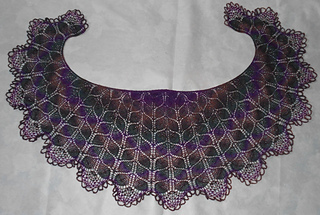 “Elderberry” is a crescent shaped shawl with cropped corners, worked in one piece from the top down and finished with a crochet bind-off. 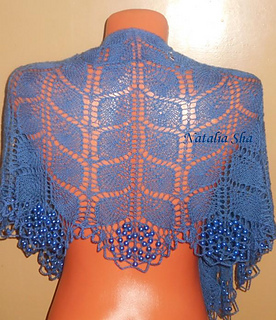 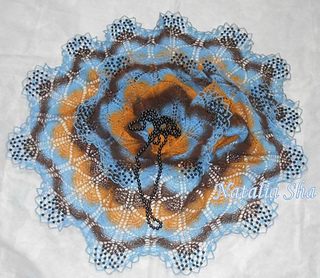 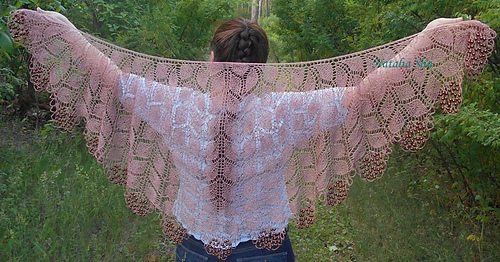 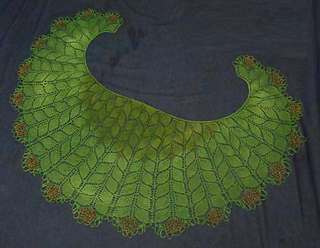 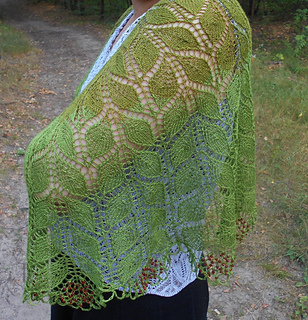 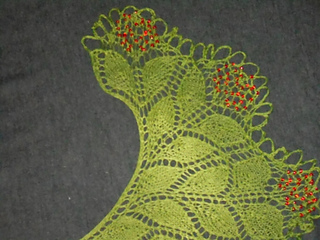 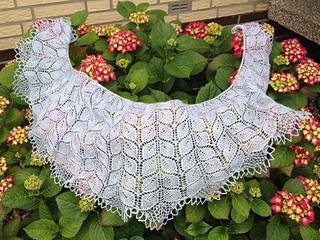 The lace design with added beads reminds of the fruit and blossoms of the elderberry bush. 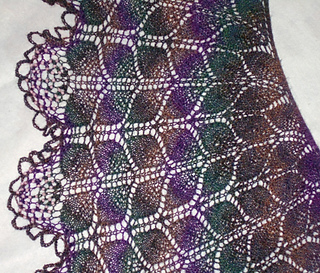 Reading charts, co, k, p, yo, “3 from 1” with yo, adding beads (explained), crochet bind off (explained). 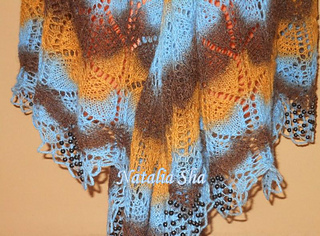 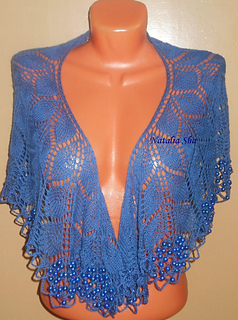 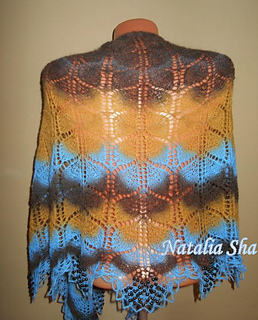 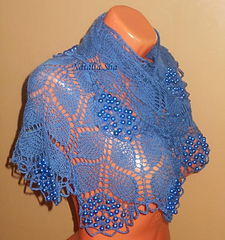 Useful information for beginning shawl knitters has been added in a separate file entitled Beginner_info. 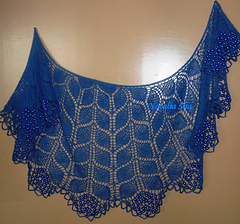 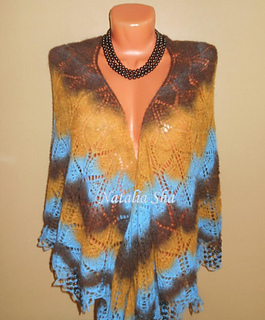 This material explains the edge stitches in greater detail and repeats those parts of the instructions from the original pattern pertaining to the edge stitches in more depth with the beginning lace knitter in mind. 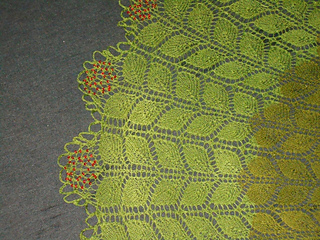 All of this information is already contained in the original pattern instructions in shorter form, and you only need to download this additional file if you found the original instructions not detailed enough. 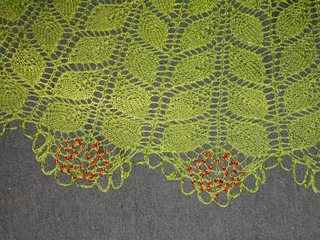 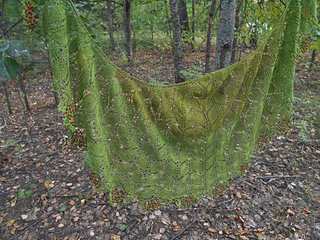 “Elderberry” (Holunder) - Dieses sichelförmige Tuch mit seinem an beerenbehangene Zweige erinnernden Lace-Pattern wird in einem Stück von oben nach unten gearbeitet. 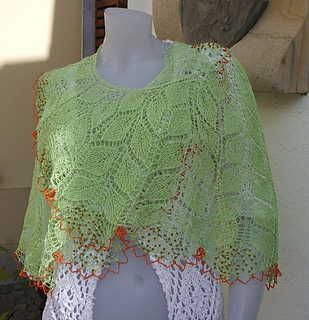 Abgekettet wird mit einer Häkelnadel. 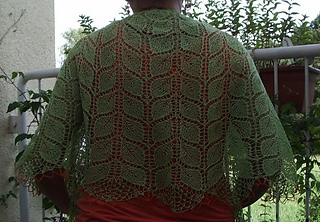 Schwierigkeitsgrad: etwas komplizierter als mittelschwer. 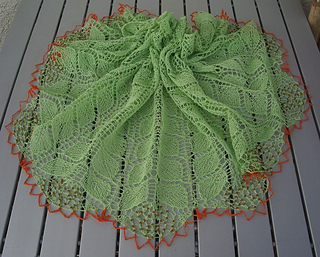 Anleitung in Strickschriften mit ausführlichen Erklärungen.